This guitar is a unique piece with some really nice wear marks on the back, with a rad "hug your guitar" sticker on the back (free of charge!). This thing plays great and has some character to boot. Thanks so much for shopping with BME! For the first time in 30+ years, a painstakingly accurate re-creation. In this first-ever reproduction, the Fender '72 Telecaster Deluxe Electric Guitar duplicates every cosmetic nuance of the original introduced over 3 decades ago. 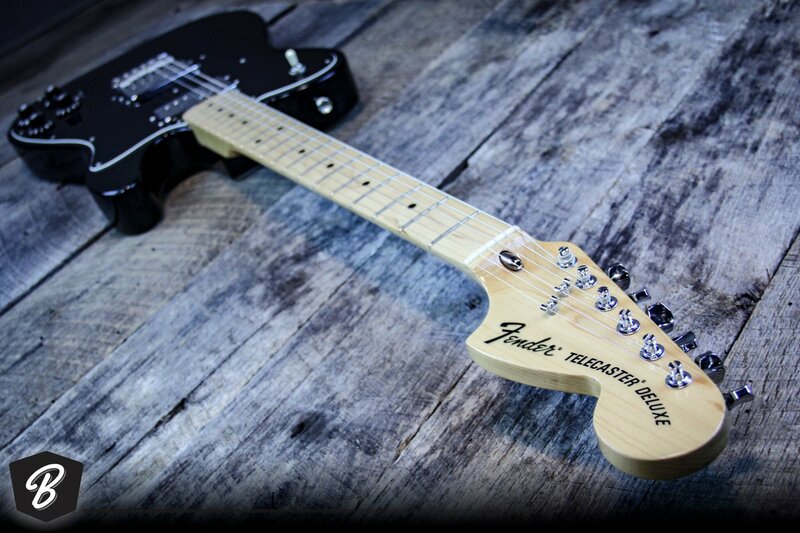 Crafted with an alder body; one-piece, C-shaped, maple neck; a Strat headstock; 6-saddle string-thru bridge; dual humbuckers with alnico magnets for unique fat and gritty Tele tone; and 3-way switching. Includes deluxe Fender gig bag.